Ready to buy CameraRC Deluxe? Purchase CameraRC Deluxe with confidence as your order is processed by PayPal and no credit card information is maintained or handled by this web site. 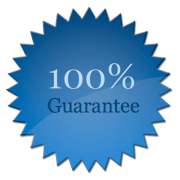 We also provide a 30 day money back guarantee. We offer 2 Editions of CameraRC Deluxe; the Standard Edition and the Professional Edition. The Edition Comparison page shows the differences between the two editions. Our Standard Edition is only $39.95 and is perfect for the hobbyist. The Professional Edition is $69.95 and provides additional features and allows CameraRC Deluxe to be install and used simultaneously on 3 computers at the same time – perfect for the small photo studio or business. If you have previously purchased CameraRC Deluxe Standard or Legacy Edition then you can upgrade to the Professional Edition for only $30.00. When you upgrade to professional you will get 1 year of free updates starting at either at the current expiration date for your license or for 1 year from the purchase date whichever is longer (Contact us if you have a lifetime Legacy license for a special offer on converting your legacy lifetime to a Deluxe license). When you purchase CameraRC Deluxe you will get a PERMANENT LIFETIME license with 1 year of free updates! An Anytime Update purchase provides 1 additional year of updates to CameraRC Deluxe and can be purchased at any time. The purchase of an Anytime Update requires the prior purchase of CameraRC Deluxe Standard or Professional Edition. You will receive your license key within minutes. If your license is not promptly received please contact us immediately via support. An Anytime Update extends your updates for 1 year and requires prior purchase of a Standard or Professional Edition.